UpFront with NGS: Personal Digital Preservation -- Make Sure Your "Digital" Memories Are Not Lost! Personal Digital Preservation -- Make Sure Your "Digital" Memories Are Not Lost! 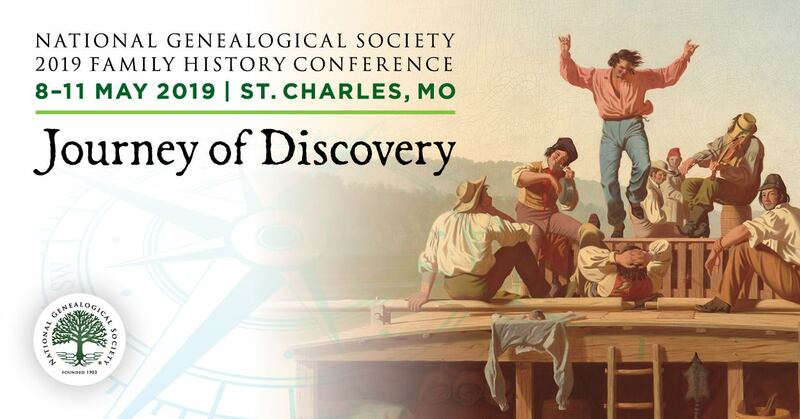 With so much of our genealogy research now digital, oo you know how to preserve all this material stored/saved in these “newer” formats? 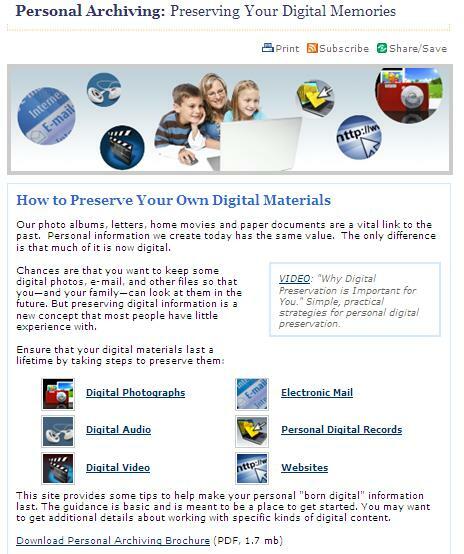 If not, the Personal Archives: Preserving Your Digital Memories (part of the Digital Preservation section of the Library of Congress website) is a website you will want to check out. “Our photo albums, letters, home movies and paper documents are a vital link to the past. Personal information we create today has the same value. The only difference is that much of it is now digital. To get a head start on making sure your digital archives will stand the test of time, check out this brochure Preserving Your Digital Memories.